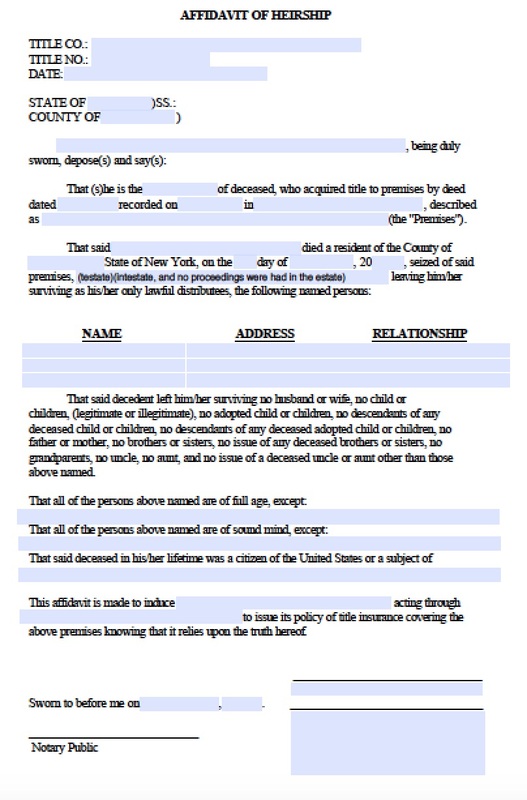 The New York small estate affidavit and the affidavit of heirship are essentially the same document to the state, and are governed by the SCPA 1310 statute. 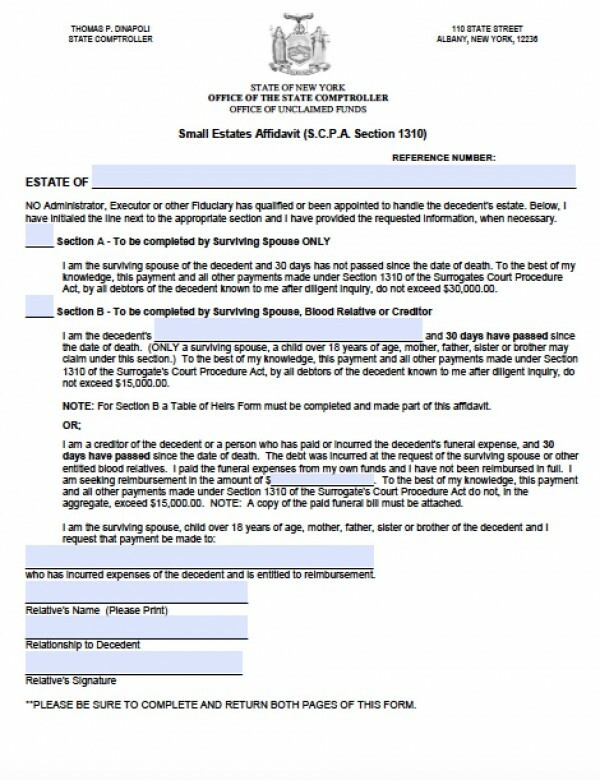 If a loved one owned property or lived in New York, and passed away after 2009, then a surviving spouse may file a small estate affidavit and collect up to $30,000 of the decedent’s estate, including bank accounts and real estate. However, if there are other surviving heirs, such as children or even creditors, then the small estate affidavit will still be filed with probate court and a judge will administer the estate between all the heirs. Step 1 – Download in Adobe PDF or Microsoft Word (.doc). Also you may use the Online Fillable Version run by LawHelpInteractive.org.